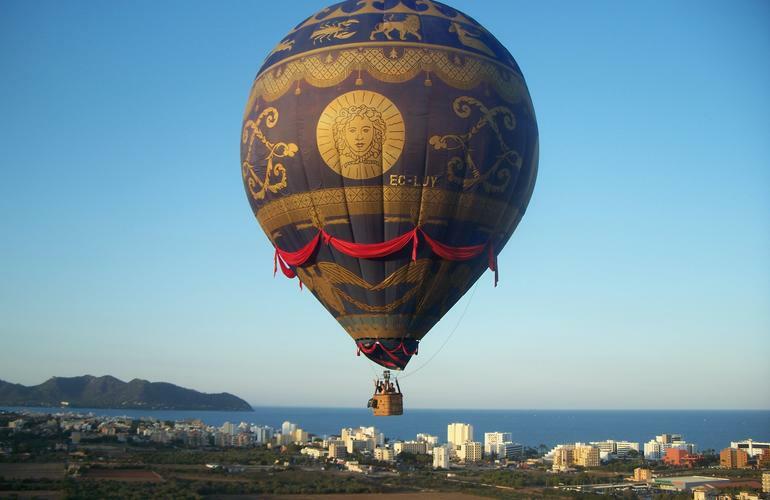 A balloon ride through Mallorca is a magical and unforgettable experience. 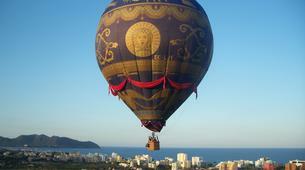 IB Ballooning invites you to soar over the beautiful island and enjoy the panoramic views! 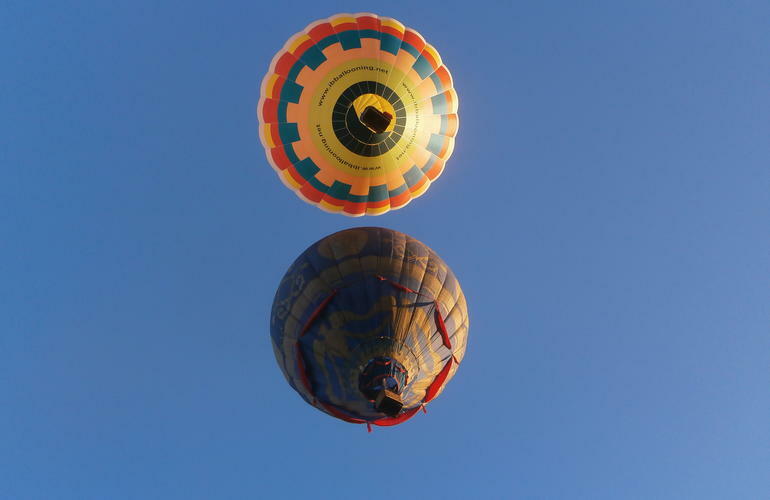 Balloon flights do not give vertigo nor basket moves or swings. 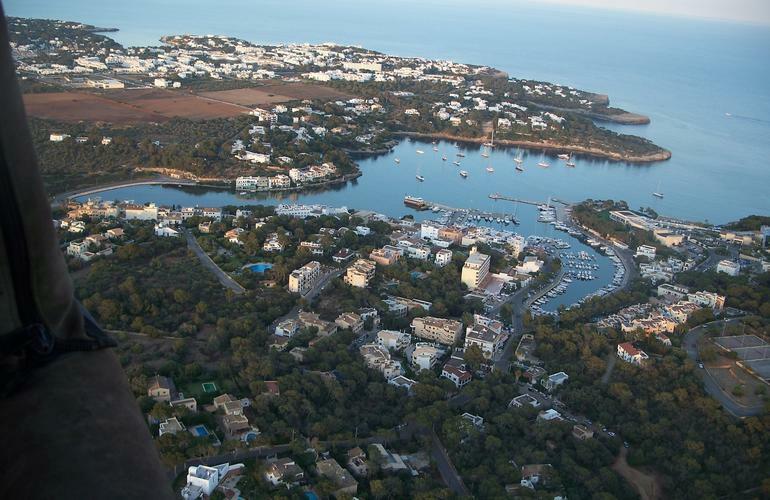 It is just like being in a viewpoint that moves slowly, which is why children aged 4 and up can also be a part of the flight. 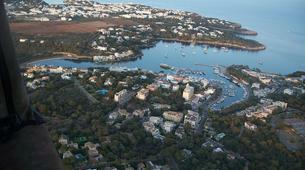 For this activity, you will meet in Mallorca and the pilot will take you to the take-off point. 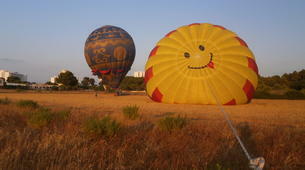 Once there you can totally help the team set up the balloon before taking off. The aircraft is always doubled checked to ensure your safety and have the appropriate standards of safe flying. The goal is to provide the highest quality with plenty of space in the basket, sparkling wine on board and excellent service from the team. 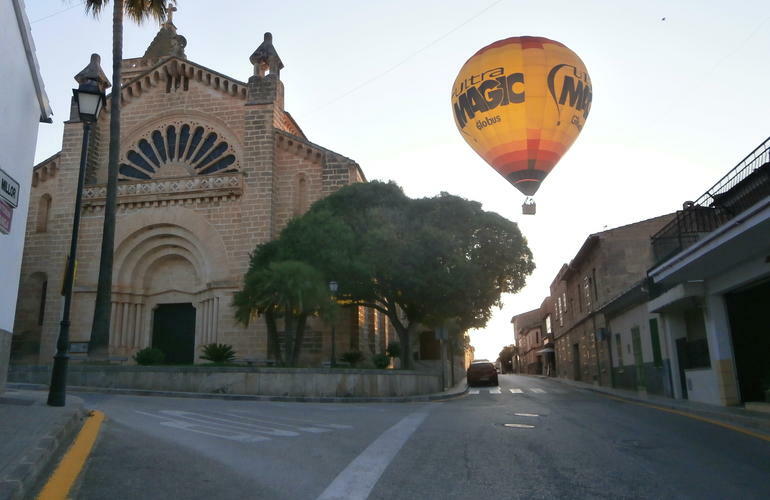 Are you ready to see Mallorca from a different perspective? The flight lasts 2 hours. It is done either at Sunrise (7 am.) or Sunset (8 pm. 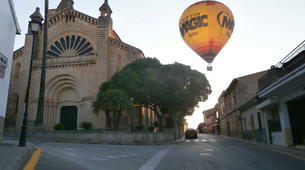 ), to get a unique perspective of the beautiful landscape of Mallorca. If the weather conditions are not optimal for the flight, it will be rescheduled to your convenience or cancelled (you will be reimbursed). 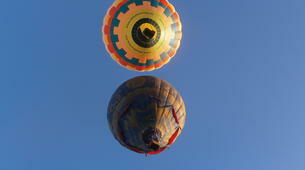 The minimum number of participants per flight is 4 people. The booking has to be re-confirmed with the instructor the day before the activity, to make sure that weather conditions will be suitable for the activity. 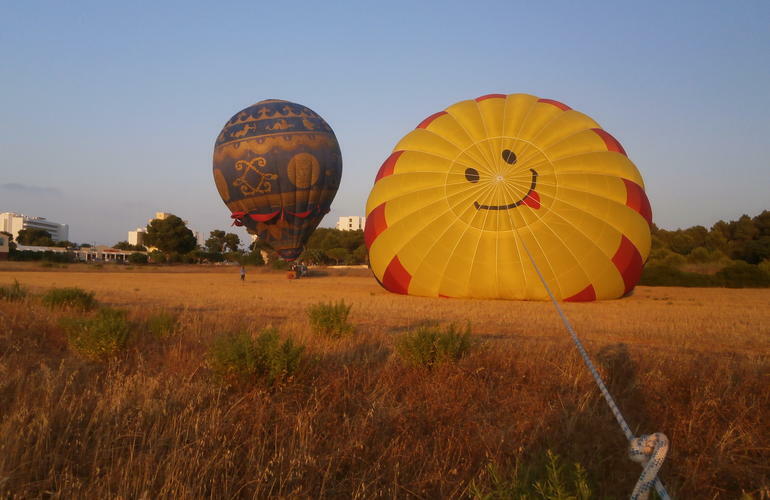 Belle balade en montgolfière avec le levé de soleil sur Majorque! Merci à vous nous reviendrons!!! Si vous êtes fasciné de voir étapes par étapes le travaille quotidien des animateurs et fan du paysage panoramique terre et mer de façon à en prendre plein les yeux chaques secondes.. Réservez votre place ! I booked this as a birthday gift and it was an unforgettable experience. Amazing from beginning to end. Every one can do it.